The New Graduate & Student Jobs programs are part of an exclusive collection of resources that brings students and graduates together with our life changing career opportunities. Explore what we have to offer and find the one suited for you. 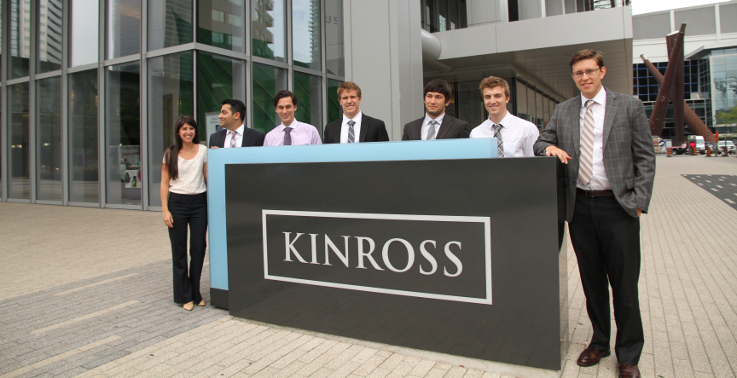 Every year, Kinross' corporate office hires students for a variety of positions throughout the organization. What does the Gold Rush Internship Program offer you? Experience with a world class Mining organization. On-the-job training within multiple Kinross functions. The opportunity to work with other like-minded students. The opportunity to learn from industry leaders and put into practice some of your academic learnings and professional experience. Internships are typically four months in length and begin in May and end at the end of August. Students enrolled in a Canadian university and returning to school. Demonstrated extracurricular and volunteer experience. Results-oriented, hardworking, and a team player. Previous experience is considered an asset. Are you ready to be part of the next generation of mining industry leaders? What does Generation Gold offer you? The opportunity to develop talented, high-potential recent university graduates over a four year period. Work at multiple, international locations over the course of the program and receive a permanent placement at the end. Broad exposure to different aspects of the mining industry. Students in their final year of university or recent graduates with a strong academic record. Have a minimum of four months of experience within the mining industry. English language fluency is required and a second language is considered an asset (due to our geographic locations, Spanish, Portuguese, French, Arabic and Russian are preferred). Individuals who are culturally aware, geographically mobile and flexible. "Kinross completely jump started my career with the Generation Gold Program. Fresh out of school I was given a variety of experiences working with great people who mentored me, taught me about leadership, passion and work ethic. Our values are "outside of the box" for a gold mining company. It is not just about mining. We are here to generate revenue, but we take into account the people and the communities where we operate. I am proud to say that we are about the whole picture." - Gillian, Generation Gold Program.